A healthy glowing skin means a younger looking you! We all strive to get that soft, moisturized, hydrated skin. But with current lifestyle and food habits, and increasing pollution skin issues are also increasing. One such problem that has put so many of us in distress is a dry skin. Dry skin makes one look older and wrinkles can appear on the face much earlier. Dry skin can be caused by taking hot showers for a long time, using unwanted cosmetic items, itchy rough clothes or harsh soaps etc. But as in almost every case, nature has remedies in store for you. 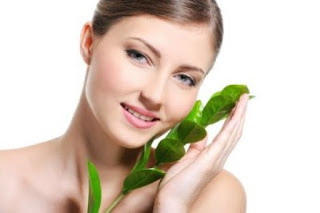 Ayurveda can restore the healthy glowing skin that you once had. Here are some ayurvedic perceptions of dry skin. 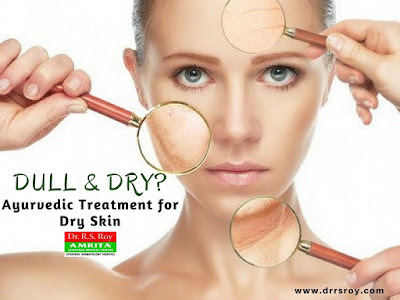 What according to Ayurveda causes dry skin? The Ayurveda says that dry skin is caused by Vata dosha. The qualities of Vata dosha opposes those of Kapha dosha ( that dosha which makes skin softer and smoother while Vata dosha makes skin rough and dry). So, obviously, an increase in Vata dosha will definitely result in a reduced Kapha dosha making the skin dry, rough and wrinkly. According to Ayurveda, the Vata dosha can be removed through three steps of treatment i.e to cleanse, nourish and moisturize the Vata. For dry skin, ground almond is mixed along with milk and a pinch of sugar and made into a paste. It is then applied to the skin. When applying the paste on the skin, make sure that scrubbing it in is avoided. If the skin is very dry, a proper mixture of yogurt and lemon juice is applied to the skin. The skin is given a regular massage to keep it nourished and hydrated and essential oils like coconut or sesame oil are applied on the wet skin to stimulate the absorption of nutrients needed. Masks based on flowers are applied to the face to delay wrinkles and fine lines. Natural moisturizers like aloe vera gel rose water or chamomile is used to moisturize the Vata. Vata dosha diet is also prescribed by the doctor. The patient will have to follow a strict diet which includes cooked and warm food as Vata dosha skin is more inclined to warm food. So, cold food ought to be avoided. Drinking hot tea, warm drinks or having rice and other grains is quite beneficial for such skin types. Are you looking for an appropriate treatment for your dry skin? Then do visit Amrita Medical Center headed by Dr.R.S Roy. We can assure you with the best treatment, in fact, the best dry skin treatment in India.